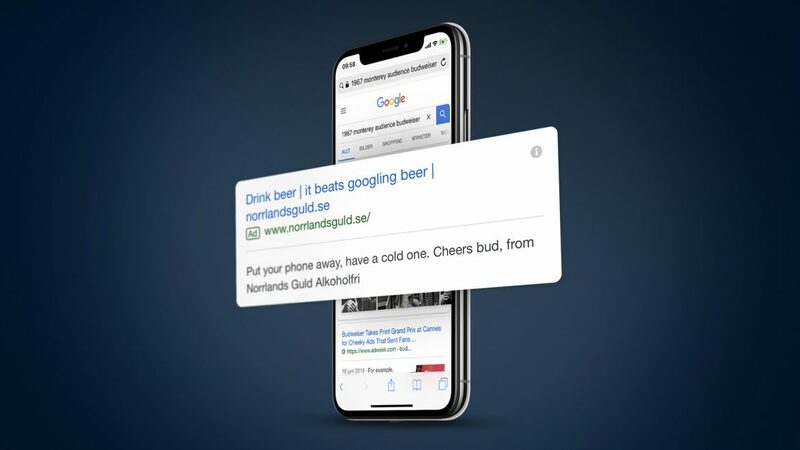 Following up their recent “social beer” and the quest for togetherness, Swedish Brewery Norrlands Guld goes online to get people offline. Tapping into Budweiser’s Grand Prix-winning campaign “Tag Words”, we simply bought ad-words that popped up when people went searching for the phrases high-lighted in Budweiser’s campaign. Here - the hijacking ads reminded people that the best place to search for beer is in the real world: and preferably a Swedish Bar near you. Cheers bud!